On Sunday, August 10th, we will be hosting a field trip to Willow Wisp Farm in northern Wayne County, followed by a gourmet dinner of local foods. 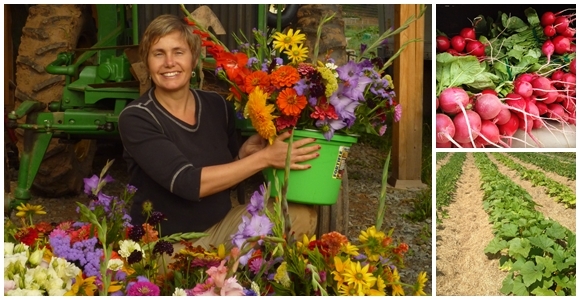 Learn about the operation of an organic farm with owners Greg Swartz and Tannis Kowlachuk. Their farm sits in a lovely little valley, and the site of the dinner that will follow sits on a hill above the farm at the home of Audubon members, Andrea and Chuck Heyn. The tour will begin at 4pm and the dinner will follow the tour. Space is limited to twelve participants, and reservations are required. Attendees will be asked to make a modest donation for the event. Carpool possibility from Honesdale. For more details and to reserve your spot, please contact Audubon at (570) 253-9250 or e-mail us at audubonworks@gmail.com. The reservation deadline is Friday, August 1st. 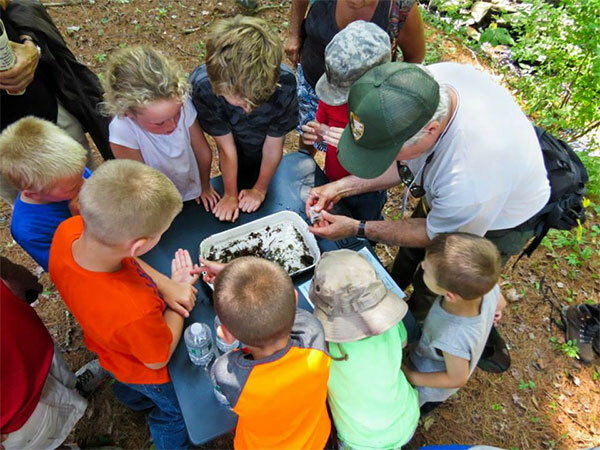 Hundreds of community members took advantage of the unusual, free opportunity to interact with over 55 scientists and amateur naturalists participating in the second annual Upper Delaware BioBlitz on June 29th, 2014 in Sullivan County, NY. The official count of 807 species identified in 24 hours at the BioBlitz is growing as the 9 research teams submit their final tallies after confirming and revising initial IDs. The primary goal of a BioBlitz is to compile a snapshot survey of the life on a particular property as an indicator of the biodiversity of the area. Other goals include raising public awareness, fostering scientific interests in children, and providing opportunities for collaboration and interdisciplinary research. Next year’s Upper Delaware BioBlitz will be on the Pennsylvania side of the river. For more information the public can visit www.upperdelawarebioblitz.com. The location for our annual Audubon Art and Craft Festival has been changed to the Wallenpaupack Elementary and Middle School at 158 Atlantic Avenue, Hawley PA.